Light refraction approaching TIR. Computer illustration showing a beams of light being refracted as they pass through a glass block at increasing angles of incidence (top to bottom) and approaching the angle at which total internal reflection (TIR) occurs. 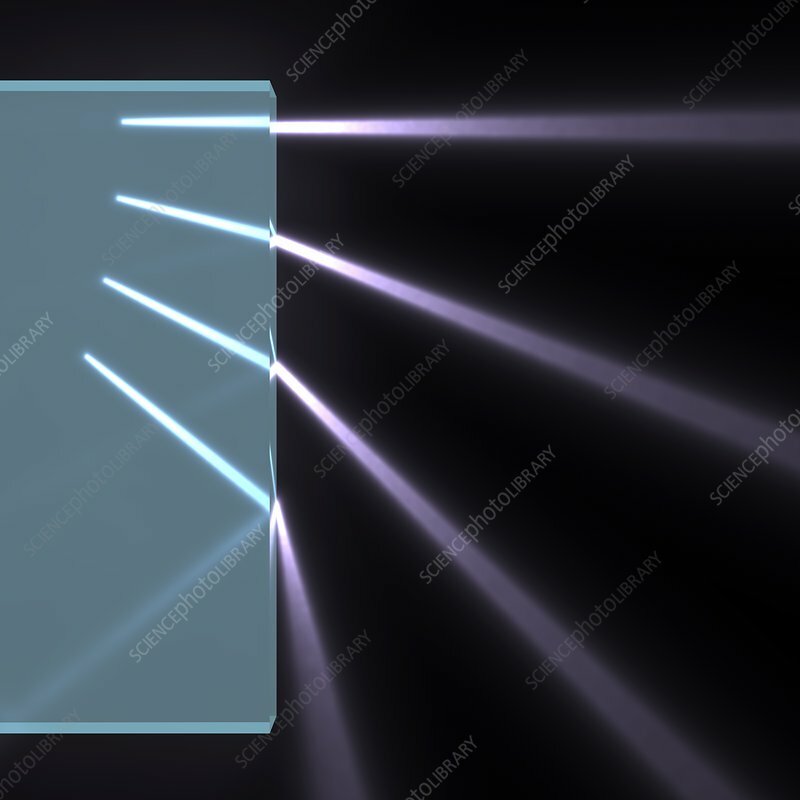 Total internal reflection is when the light no longer passes through the glass block but is instead completely reflected within it. This occurs when the light strikes the boundary between the block and the air at a particular critical angle. Here, the angle of incidence at bottom hadn't quite reached the critical angle for TIR, so only some of the light is reflected and the rest passes through the block.